Watch the Key West video, Key West Time starring Howard Livingston and more here on ConchTV! Conch TV is the premiere Key West videos web site for free Florida Keys travel videos , travel information and much, more. The Conch Republic Media Group, is a destination marketing company owning interactive websites dedicated to promoting travel in The Florida Keys and Key West. Educational, entertaining video episodes, The Conch Republic Media Group delivers the most recent and most amazing tourist destinations that The Florida Keys and Key West has available. The videos are all free on demand 24/7. The Conch Republic Media Group and it’s premier web site ConchTV.com encompasses all the Florida Keys and Key West with subjects like accommodations, arts, attractions, boating, bridal, dining, diving, bars, entertainment, events, family, fishing, living, news, realtors, shopping, social networking, tourism, weather and watersports. Viewers can watch exciting videos, download driving maps, learn about business and destination web sites and tourist information. 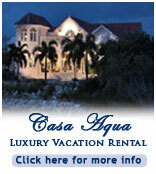 The Conch Republic Media Group, Conch TV.com and ConchRadio.com make Florida Keys and Key West vacation planning easy! Let our expert tourist guides take you behind the scenes for first look video access into “The Conch Republic” lifestyle and the diverse people who define it. Don’t forget to log in every day and stay up-to-date on our most recent travel video segments and the Florida Keys and Key West information. All Florida Keys and Key West travel programs are thoroughly scouted to ensure that The Conch Republic Media Group brings you only the finest travel destinations, products, services and tourist trends. In addition to ConchTV, The Conch Republic Media Group also owns and operates the top Trop Rock Florida Keys internet radio station ConchRadio.com. “The magic is in the music” is the theme for Non-stop Trop Rock music along with HD, Key West videos about the Parrothead lifestyle delivered direct from Key West, Florida. Enjoy Key West musicians anytime on Conch Republic Radio! It’s streaming internet radio from Key West Radio and Florida Keys Radio.